Hear your brothers say you are the best sister of the world when you gift them this Lucky Love Delight Rakhi Gift and make their Raksha Bandhan special. 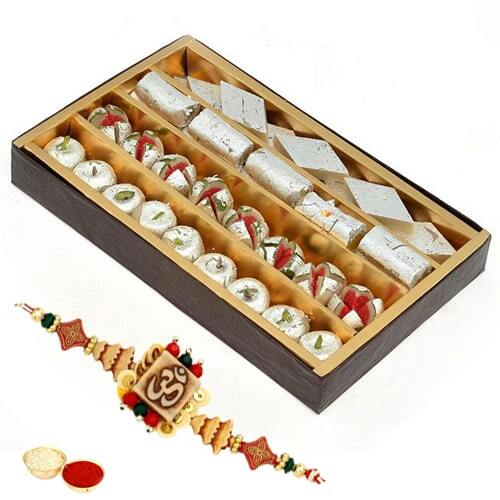 This Rakhi Gift is decked with 1 Designer Ethnic Rakhi with 250 Gms. Assorted sweets.